All staff photos published in the Record-Eagle print edition during the week of March 21-27, 2010. Note: Some photos may not be available until late afternoon on the day published. Photos published on Saturday and Sunday may not be available until Monday. 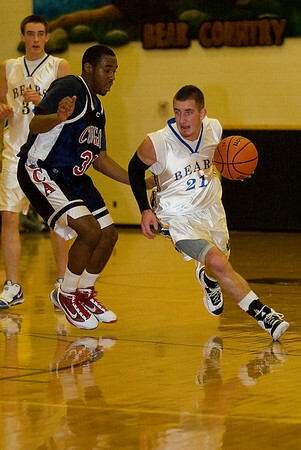 Buckley's Josh Ledford (21) leads the Bears in scoring at 19.5 points per game. Buckley plays Muskegon Western Michigan Christian in today's quarterfinal at Traverse City Central..